CoQ10 is a coenzyme with antioxidant properties that acts like a vitamin in your body and is found in every animal and plant on earth. It especially concentrated in organs like your heart, kidneys, liver and pancreas. 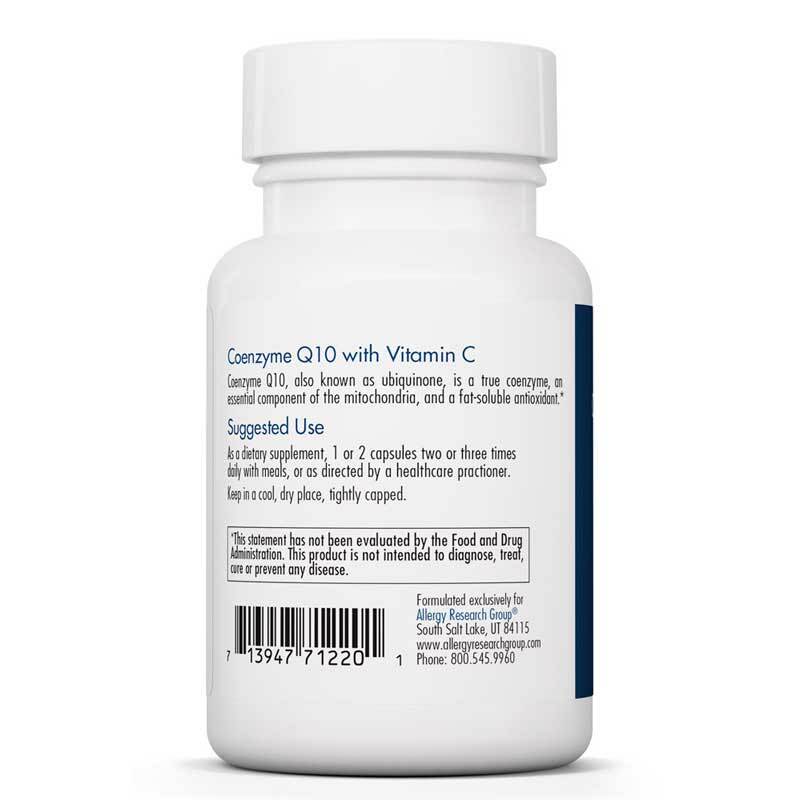 One of Coenzyme Q10's main functions in your body is encouraging cellular energy production. It helps your mitochondria create what's known as ATP - the body's chemical energy currency. 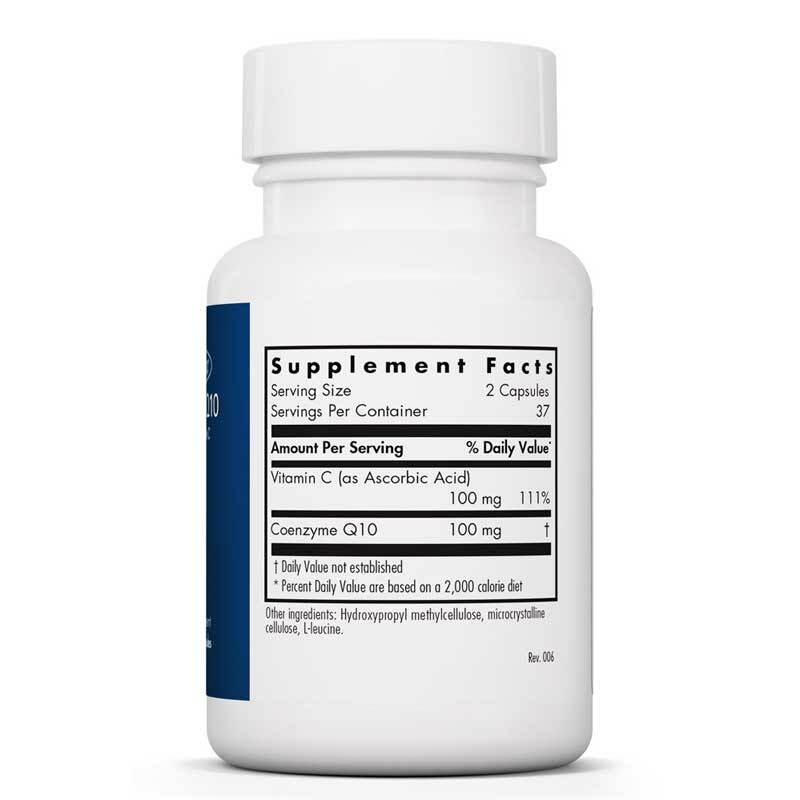 Allergy Research offers its Coenzyme Q10 supplement as a way to potentially support natural energy levels, a healthy heart and a strong immune system. This supplement also contains Vitamin C sourced from Cassava. Because CoQ10 is a fat-soluble antioxidant, it may also protect your body from oxidative damage. It is specifically supportive in protecting the mitochondrial membrane against lipid peroxidation. For those looking for heart health support - CoQ10 may be able to help strengthen cardiovascular muscles - potentially improving breathing and heart rate. It could even help lower your blood pressure. This nutrient is of the highest-quality and purity available. 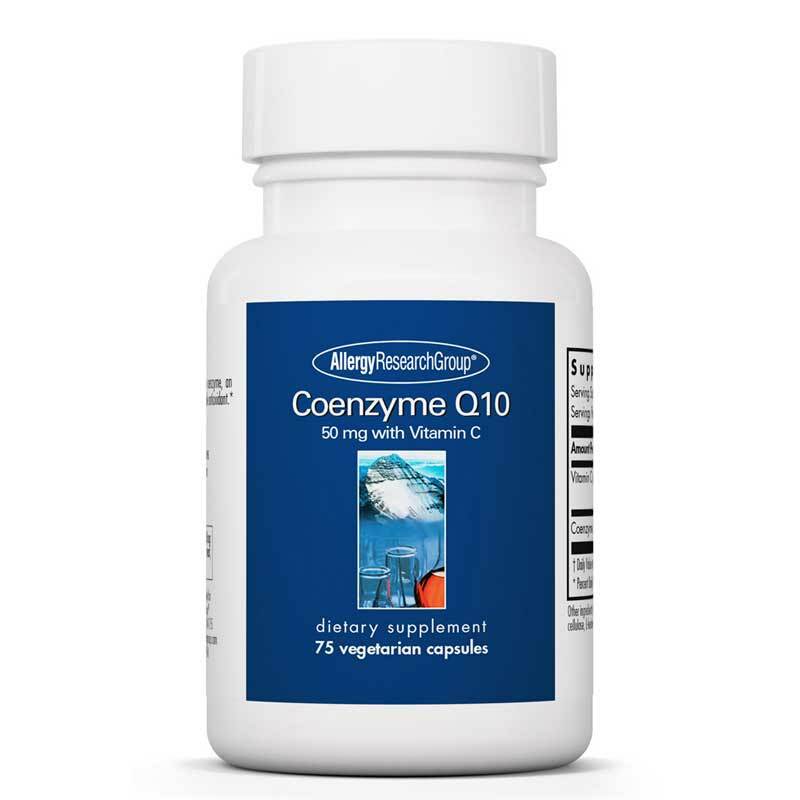 Try Coenzyme Q10 from Allergy Research - find out what it might do for your energy levels, your heart and your overall health. Adults: As a dietary supplement, 1 or 2 capsules two or three times daily with meals, or as directed by a healthcare practitioner. Note: This is the dry form of CoQ10 and would be best absorbed when taken with fat.